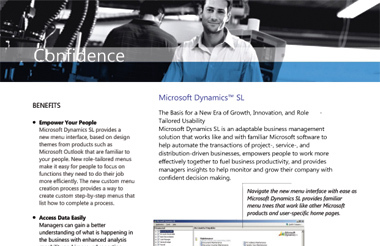 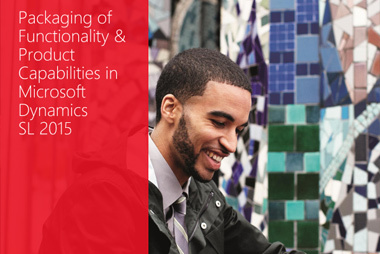 Take a look at Dynamics SL’s brochures to learn more about the product’s capabilities. 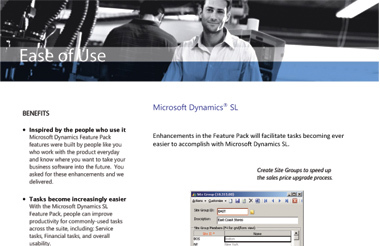 You can also view Dynamics SL’s demo videos, or check for the available SL live webinars. Microsoft Dynamics SL is an integrated, adaptable business management solution that enables you to make business decisions with greater confidence. 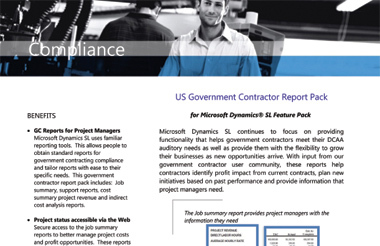 Microsoft Dynamics SL provides functionality that helps government contractors meet their DCAA auditory needs. 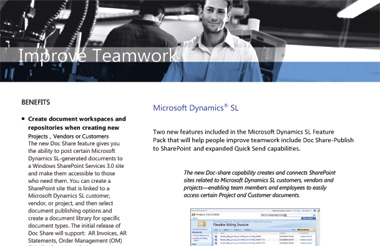 Pack will help you improve teamwork. Crystal Reports provides powerful reporting and query capabilities for both novice and experienced users. 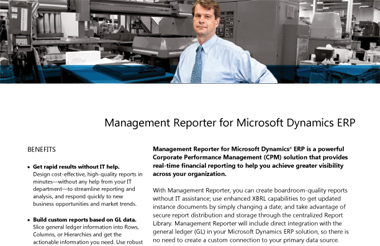 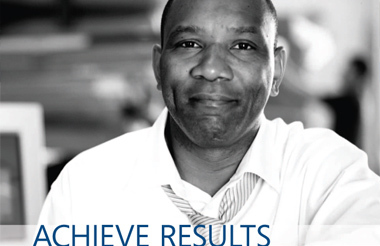 A powerful Corporate Performance Management solution that provides real-time financial reporting. 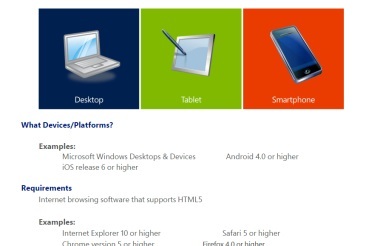 Microsoft Dynamics SL Web Apps provide access to Microsoft Dynamics SL through a web browser that supports HTML5. Quickly and easily modify any screen in any Microsoft Dynamics SL module without changing the underlying source code. 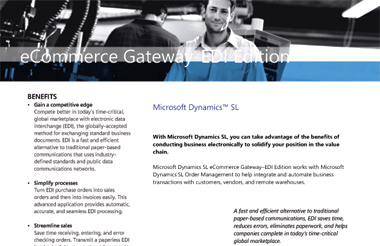 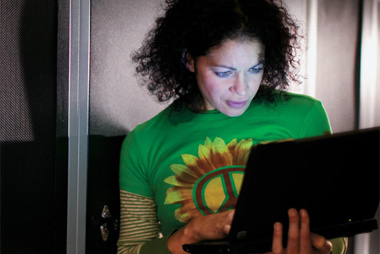 Integrate and automate business transactions with customers, vendors, and remote warehouses. 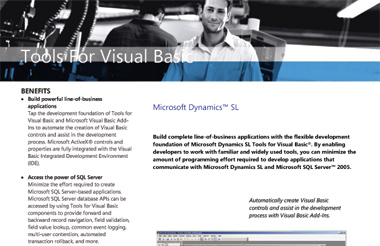 Build complete line-of-business applications with Microsoft Dynamics SL Tools for Visual Basic®. 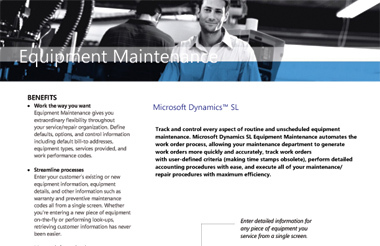 Automate the work order process, allowing your maintenance department to generate work orders more quickly and accurately. 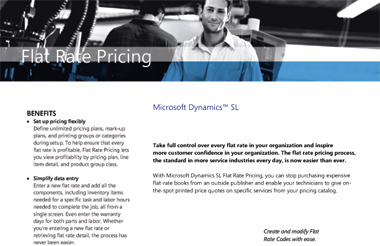 Take full control over every flat rate in your organization and inspire more customer confidence in your organization. Manage your service agreements more effectively and maximize revenue for every contract with Microsoft Dynamics SL Service Contracts. 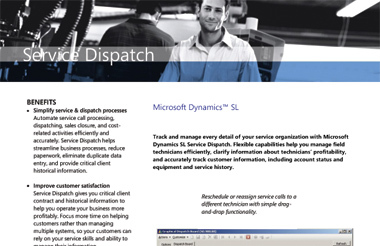 Track and manage every detail of your service organization with Microsoft Dynamics SL Service Dispatch. 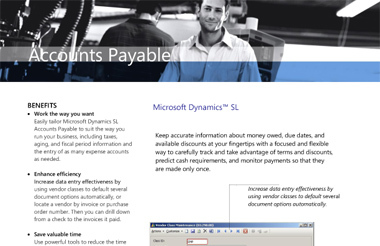 Keep accurate information about money owed, due dates, and available discounts at your fingertips. Flexible, integrated functions provide you with detailed information and reporting to monitor receivables. 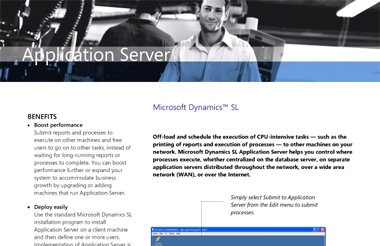 Off-load and schedule the execution of CPU-intensive tasks to other machines on your network. Make reconciliation of your bank accounts easier and faster by automating your bank reconciliation process. Take the guesswork out of cash accounting, gain instant access to your current cash balance, and automate bank reconciliation. Isolate, evaluate, and eliminate the impact of currency fluctuations on your business operations. Capture and analyze the financial information you need to make better business decisions. 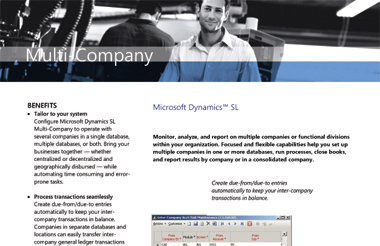 Monitor, analyze, and report on multiple companies or functional divisions within your organization. 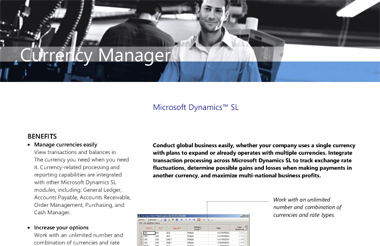 Conduct global business easily, whether your company uses a single currency with plans to expand or already operates with multiple currencies. Advanced Payroll helps you calculate true labor costs, meet time-sensitive government reporting requirements, and provide flexible deductions and benefits. 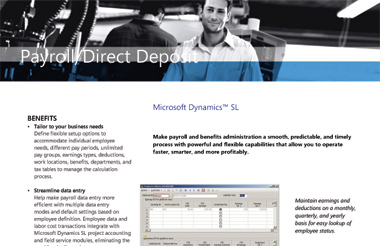 Make payroll and benefits administration a smooth, predictable, and timely process with powerful and flexible capabilities. Define, analyze, and manage your company’s products with Microsoft Dynamics SL Bill of Materials. Streamline the planning and handling of your work orders, so you that can control costs and maximize profits. 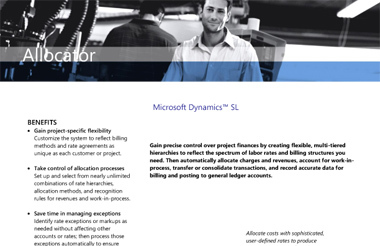 Gain precise control over project finances by creating flexible, multi-tiered hierarchies to reflect the spectrum of labor rates and billing structures you need. 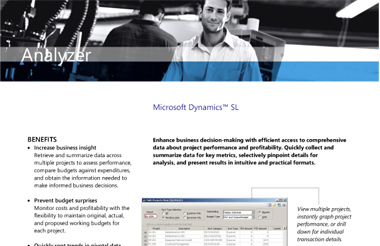 Enhance business decision-making with efficient access to comprehensive data about project performance and profitability. 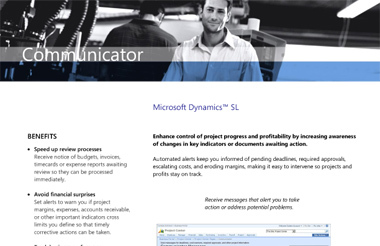 Enhance control of project progress and profitability by increasing awareness of changes in key indicators or documents awaiting action. Streamline time-consuming contract management tasks and increase the productivity of subcontractor interactions. Get the information necessary to improve the profitability of service professionals and other human resources. Shorten billing cycles and improve cash flow by taking control of unbilled receivables and converting them more quickly to revenues. 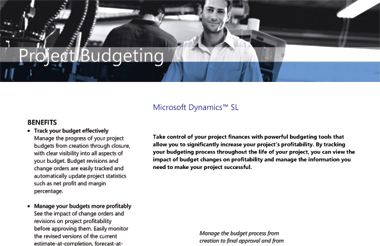 Take control of your project finances with powerful budgeting tools that allow you to significantly increase your project’s profitability. Project Controller provides project managers with the accurate, meaningful information needed to gain control over project revenue and expenses. 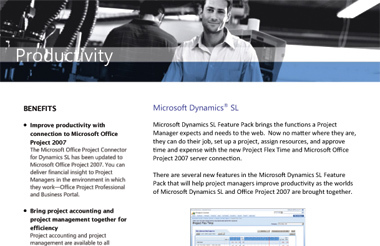 Microsoft Dynamics SL Feature Pack brings the functions a Project Manager expects and needs to the web. Take control of your labor, project, and travel-related expenses. 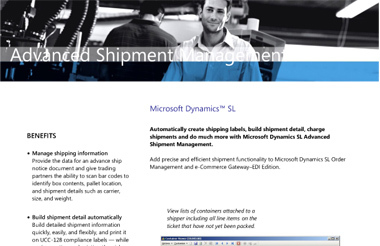 Automatically create shipping labels, build shipment detail, charge shipments and more. 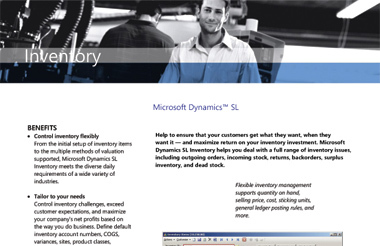 Microsoft Dynamics SL Inventory helps you deal with a full range of inventory issues, including outgoing orders, incoming stock, returns, backorders, and more. 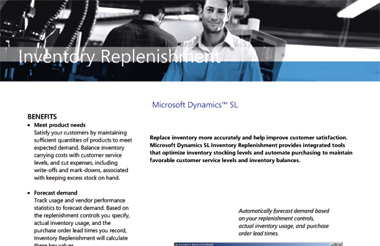 Microsoft Dynamics SL Inventory Replenishment provides integrated tools that optimize inventory stocking levels and automate purchasing. Distributors and manufacturers can calculate accurate inventory valuation by including additional charges beyond item purchase costs. 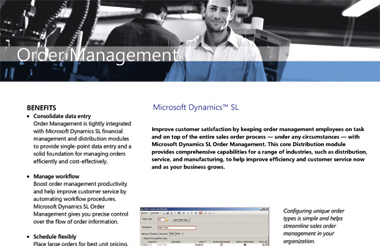 Improve customer satisfaction by keeping order management employees on task and on top of the entire sales order process. 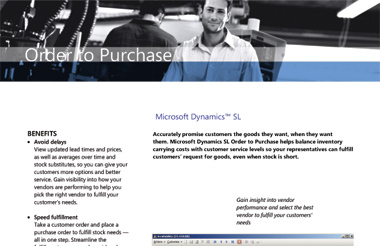 Balance inventory carrying costs with customer service levels so your representatives can fulfill customers’ request for goods. 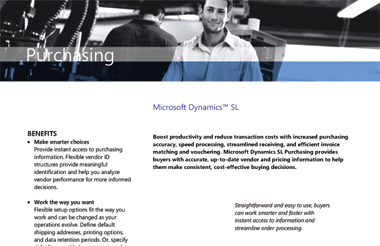 Boost productivity and reduce transaction costs with increased purchasing accuracy, speed processing, streamlined receiving, and more. The Requisition module in Microsoft Dynamics™ SL provides the flexibility to address your company’s procurement needs – from the relatively simple to the complex.